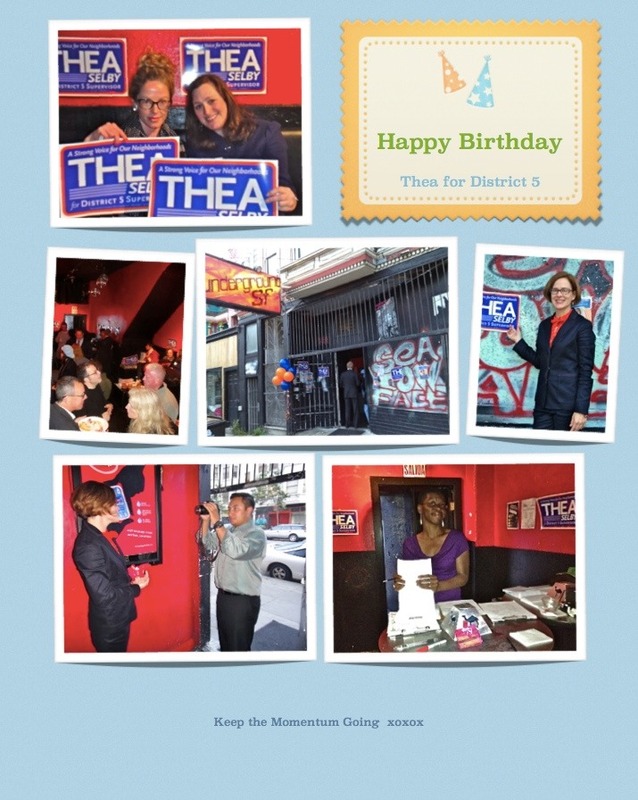 Thank you so much to those who came by and supported Thea at her birthday bash on May 3! Your presence and generosity (and appetites — we couldn't have eaten all that brisket alone) were deeply welcomed and deeply appreciated. We're so excited to get to know this district as the campaign moves forward. If you're interested in volunteering for Thea — walking with her in your neighborhood, gathering signatures, or staffing events — get in touch with Megan. If you or someone you know wants to chip in for a first-time candidate working for District 5's neighborhoods, check out the donate page. In the meantime, here are some festive images of the evening by our own Lynn Friedman. More will be up on Facebook soon, so make sure you like us!